Gallipoli’s beaches in Puglia are among the most beautiful and best beaches in Italy. There isn’t just one beach in Gallipoli, but many beaches and creeks with rocks and sand. The longest and best known beach is Baia Verde beach, but there are others that you can easily locate in this mini-guide: Lido Conchiglie beach, Padula Bianca beach, Rivabella Beach, Purità beach, and Punta Pizzo beach. Besides Baia Verde beach, of course. The beaches are listed starting from the north of Gallipoli and moving south towards the sea in the Maldives of Salento. Let’s begin! Where is Gallipoli in Puglia? 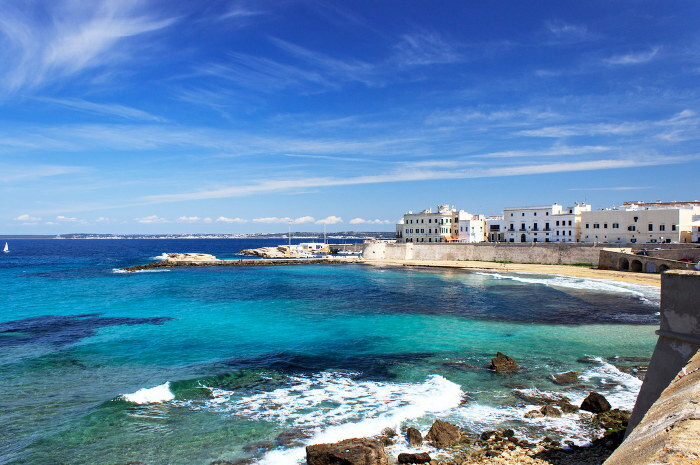 Gallipoli is located on the Ionic coast of Salento, Southern Puglia. It can easily be reached from Lecce using the Lecce – Gallipoli SS101 highway. Gallipoli is located about halfway between Lecce and Santa Maria di Leuca. Gallipoli’s coast is several kilometres long. There are some beaches with fine white sand and there are others with low rocks, especially near the centre of inhabited areas. The beaches are beautiful along the north and south coast; sandy beaches can quickly be found by moving a few kilometres to the north, as well as by moving a few kilometres to the south. 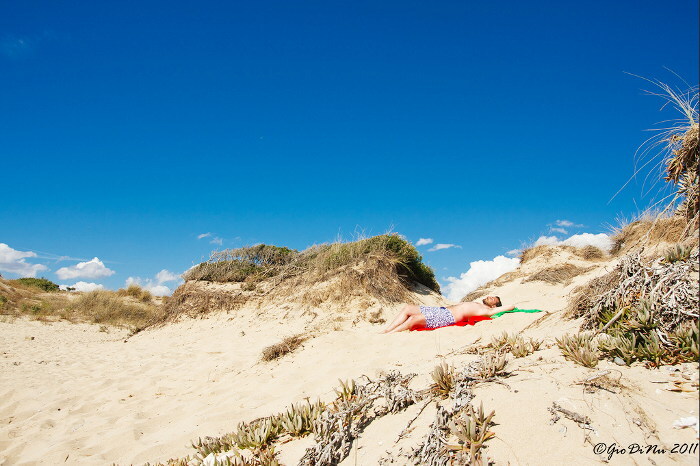 The only beach in Gallipoli itself is Purity beach, a small, fantastic gem. Lido Conchiglie is a village that is about 7 km to the north of Gallipoli. It is a small suburb of the Sannicola municipality, on the outskirts of Gallipoli. Going along the coast from Porto Cesareo towards Gallipoli, Lido Conchiglie can be found just past Santa Maria al Bagno and near the Spaccata Mountain (Montagna Spaccata in italian). The coast here is a couple of kilometres long and characterized by a sandy stretch with equipped beaches, which are also free. There is a stretch of low, rocky cliffs, as well as a small stretch of ones that are a bit higher, and there are places where you can also go diving. The sandy beach is more to the south, towards Padula Bianca. Accommodation: the town centre is on the sea, so you will find holiday homes and apartments close to the beach. There are also some hotels and bed and breakfast accommodation. Padula Bianca is the first location to be found in the municipality of Gallipoli, which you will encounter when coming from the southeast of Lido Conchiglie. The beach here is a little less than 3 km long, is full of dunes and great sand and has a Mediterranean feel to it. Padula, in the Salento dialect, means swamp, which is what this area was before its reclamation. Here, there are both establishments providing services and free beaches. Accommodation: Padula Bianca is an irregularly urbanized area. Instead of a town centre, you will find cottages and villas scattered along the roads leading towards the sea front. Going to the south, we find the beach of Rivabella, a small village of holiday houses. It’s a nice beach with small dunes, white sand and crystalline sea. There are some places where you can go swimming. In this area, there are several holiday apartments for rent, hotels and campings, supermarkets and small shops. There is also an entertainment center called Parco Acquatico Splash with aquatic games. As you pass Rivabella, the next sandy beach is the picturesque beach of Purità, or, as the locals here like to call it, Puritate. It is also called the ‘Breast of Purity’ (Seno della Purità in italian), a name that comes from the nearby church dedicated to Saint Maria of Purity. 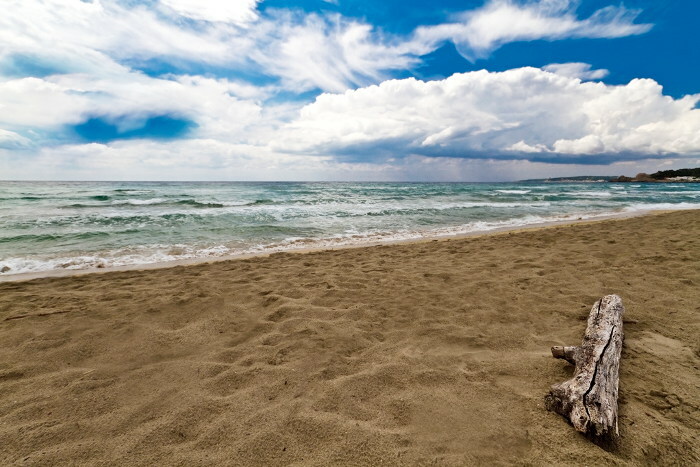 The beach of Purità is a beach inside the historic town centre of Gallipoli, a special site to see. It is located at the foot of the city walls, close to the restaurants and bars on the beach front. You must stop here: go and visit Gallipoli’s historic town centre, take a dip in the Puritate, and then stop for lunch at one of the many restaurants overlooking the sea, which are around 10 meters from the beach. It’s a truly beautiful experience! From Gallipoli’s historic town centre, head southwards along the Galilei promenade. After roughly a couple of kilometres of low rocks, we find St. Giovanni, and then the wonderful Baia Verde. It’s a kilometers-long sandy bay. At the center of the bay lies the town centre, which takes its name from ‘Baia Verde’. Between Lido San Giovanni and Baia Verde you will find the highest concentration of tourist attractions offered in Gallipoli: equipped beaches, resorts, residences, villages, hotels, B&Bs, as well as many private accommodations used as holiday homes, including apartments, cottages, villas and several farmland homes a little more inland. With all its beaches and the trendiest clubs, Baia Verde is also the heart of the Italian summer night life at the moment. The beach is white with shallow crystal-clear water and dunettes with Mediterranean vegetation right behind it. A real charm. It is located south of Baia Verde, where the landscape becomes a lot more wild. The area is called the Regional Natural Park of S. Andrea Island. The coastal area of Punta Pizzo consist of several bays with sandy beaches and reefs, from Punta della Suina all the way up to Lido Pizzo. This is a beautiful area also, with crystal-clear water and the ability to go bathing almost anywhere. Here, you won’t find accommodation right on the beach front, but you will find the essence of nature in the Mediterranean landscape. To get here, you must take the car. All these beaches are suitable for families with both small children and teenagers. In Gallipoli, you will find many establishments equipped for those who want a relaxing holiday by the sea, but there are also many kilometres of public beaches (there is a huge influx of visitors in August). There are several different types of overnight accommodations to choose from, either close to the beaches or those a little more inland (where you can opt for nice farms and local farmhouses called masseria). In addition, Gallipoli has a large variety of discos and nightclubs, which are the most renowned for night life in the Salento region. If you would like additional information about the area, feel free to ask. I’m here to answer any queries you may have in the comments section or via private email! We are coming to Puglia in May this year with a baby. After few days of sightseeing in the northern Puglia and in Lecce, we would like to stay on the sea in Salento, but in some town where a nice beach is easily available, as well as supermarkets, shops, restaurants, etc. If possible, we prefer to use only public transport and not to rent a car. Which town do you recommend? Is Gallipoli a good choice? Is it calm (without parties) in May? Or is may Porto Cesareo better? Also, I found that there is a train from Lecce to Gallipoli, but I didn’t find on internet any information about transport from Lecce to Porto Cesareo (except Salento in Bus during the summer). Are there any buses in May to Porto Cesareo? Thank you very much in advance for all the information!!! Absolutely, Gallipoli is a good choice, yes. In May is quiet, no beach parties, and the town has a really beautiful old town and nice beaches. You can go from Lecce to Gallipoli by train, yes, using the local FSE – Ferrovie del Sud Est. Instead, in Porto Cesareo there’s no rail station so you can come here (where we are actually) only by bus or with a private transfer. I can say that in May is a bit difficult to find a public transportation to come here, better to take a taxi or private transfer. I do not know if Salento in Bus service is already going in May, you can check online. If yes, is perfect! If you want to stay on the beach, both Gallipoli and Porto Cesareo are good. Gallipoli is much beautiful like city, Porto Cesareo like sandy beahces … Let me know if you need more. A presto, Fabio. Hi Loubna, I replyed via email but I think that your questions can be also questions of other travellers. So I write here in order to help more people. 1) Is it easy to go from town to town without renting à car? – There is a summer public service called Salento in Bus, it covers the whole Salento, mainly the coastal roads. But, if you want to be free to discover Salento villages inland, you do need a car. You can easily rent it directly in the airport or the local private rental services. 2) And how to get there from Rome? – You have two main options: by plane (the Salento Airport is in Brindisi) or by train. If you come here by train, you have to take the national rail transportation system till Lece and than the local Ferrovie del Sud Est company till Gallipoli. 3) Where would you recommand we stat? Hello your site is great. Is it easy to go from town to town without renting à car? And how to get there from Rome? If we want some Space but nice beaches and some restaurants for a family. Where would you recommand we stat? Ciao Anna, my collegue Angelique sent to you an email. At the end of June Gallipoli is not like August (that month August is really overcrowded and party everywhere!). You can relax at Punta della Suina, which is superb. A presto, Fabio. I am going to Salento in the end of june and i am looking for a nice place to stay close to Gallipoli. Actually, we are planning to go from Lecce – Gallipoli – Leuca – Otranto (all the different beaches) and finally monipoli and alberobello. we have around 10 days. We will rent a car. Do you think it is reasonable? And we would really need some advices regarding Gallipoli since we do not want party at all, just quiet beaches, nature and authentic old town with great food. So the “ibiza-image” completely scares me and I am thinking about re-making the route. What do you suggest? Hi Jody, ok, I am going to send an email to you. There are several places ideal for your needs. A presto, Fabio. We are planning to come to Puglia in May. We have a 15 month old baby and are looking for somewhere in Salento that has a nice town to walk around at night with good restaurants but also beautiful beaches in the day. Where would you advise? Can you email me privately to look at villas to rent too? I have heard a lot that Puglia has beautiful beaches. 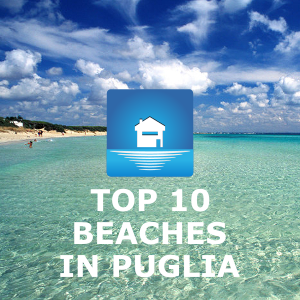 Which is true, no wonder people talk a lot about Puglia’s beaches! Your selection of beaches is absolutely beautiful, I should come and visit! Thank you for the list. And yes, that’s the thing, some of the beautiful beaches don’t have nearby accommodation, so it isn’t as convenient. But if you do planning a trip to Phuket, yes Phuket does have such beautiful beaches as well, you should check our villa out. Stunning ocean view and exclusive infinity pool, awesome eh? So please do check us out and quickly book your villa! Thank you. Ciao Juliana, before to reply to you, it is important for me to understand your vacation period. Beaches are really overcrowded in July and overall in August. A presto, Fabio. Hi Fabio please give me your precious advice, summer holiday I am planning to visit Italy for the first time with my 2 kids and hubby, we are looking for sand beaches, not much busy, but near a nightlife, bar and restaurants, charming places. We intend to rent a car, so nearby beaches as well to explore. What can you suggest. We sent a private email to you. A presto, Fabio. 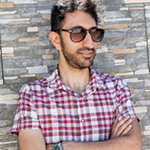 Hi Mo, yes the southern part of Gallipoli called Baia Verde beach is like Ibiza, Mykonos, … full of clubs, parties on the beach (the best of all Italy) and youngers. But, this is particular true in July and overall August. Not in september, I think is ok. Gallipoli is very beautiful, you will be ok, I think. Just avoid the central part of Baia Verde, for the rest is perfect. I do suggest you to rent a car, in my opinion is fundamental to move around Salento and discover amazing places. Come to Torre Lapillo Bay too, to take a coffe with us!! If you need tips, just email privately to me. A presto, Fabio. @rebecca: I do like you comment, Gallipoli is wonderfull! You should try the beach of Torre Lapillo too … In fact, if you come here, just pass from our office in Torre Lapillo beach to have a coffe togheter, it would be great, yeah! In the meantime, ask directly to me all the information you want about my region Puglia, in particular my area of Salento where Lecce and the best Puglia beaches are. It will be a pleasure for me to help you in planning your stay here! A presto, Fabio. We are 2 mature business ladies and we have rented an apartment in Galipoli early September for 10 days. We do not want to hire a car but we would like to go to other areas for lunch, for shopping or for day’s out relaxing by the sea. Do you provide any type of driver service or can you recommend? I am coming to visit gallipoli next week. I would love to find some place to rent umbrellas, but not too much like clubs. More quiet beaches. We are staying in old town. Is there a beach that you would recommend that isn’t a big scene that we could bike ride to? Just spent the day at Lido Pizzo thanks to your post. It was wonderful! There was actually an area of for-rent umbrellas and chairs, but far away from the party scene of the resort style beaches. Perfect! And just a twenty minute drive from our stay in Gallipoli. Hi Mary, could you please tell me the period of your vacation? if I can help you, I will send you an email with some offers. 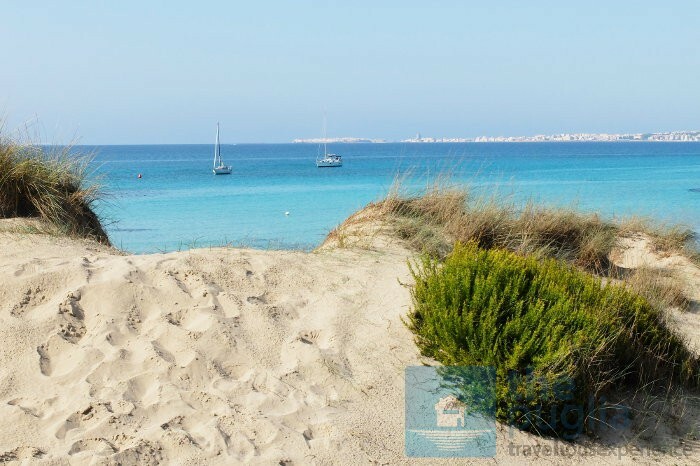 Could you consider also the beach of Porto Cesareo, Torre Lapillo and Punta Prosciutto? A presto, Fabio. How do I find a holiday home in the area of Gallipoli of Porto Cesareo? Ciao Cara! In my opinion, if you choose the Salento beaches you are ok because they’re some of the best sandy beaches in all Italy. Here, you can stay in Gallipoli or Porto Cesareo. Gallipoli is a bit like Ibiza style with with amazing sandy beaches, here you can enjoy a lot with clubs, music and nice people. Porto Cesareo has the wonderful beaches of Torre Lapillo Bay and Punta Prosciutto. It is quiter than Gallipoli, but at the some time has nice people, clubs and restaurants too. Just choose! Let me know the period of your stay, you can stay in a b&b or hotel or rent a holiday home, it’s up to you. A presto, Fabio. 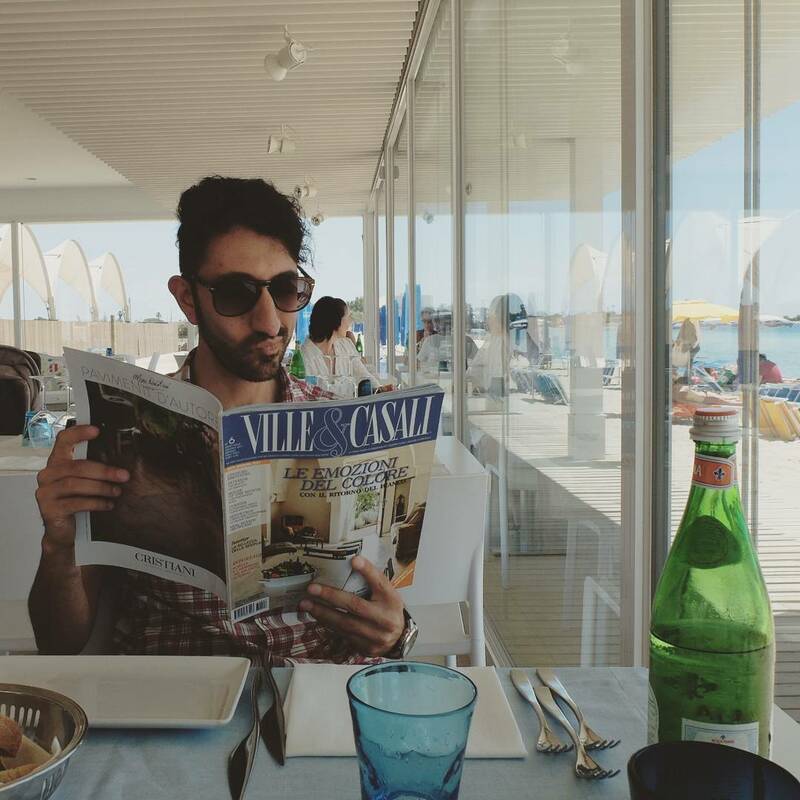 My friend and I are both 30 something and single and looking to have a relaxing but eventful holiday at an Italian beach. We want a bit of nightlife/day party atmosphere with nice beach bars but also amazing clean beaches. Where would you recommend we go? And what accommodation options should we look into?